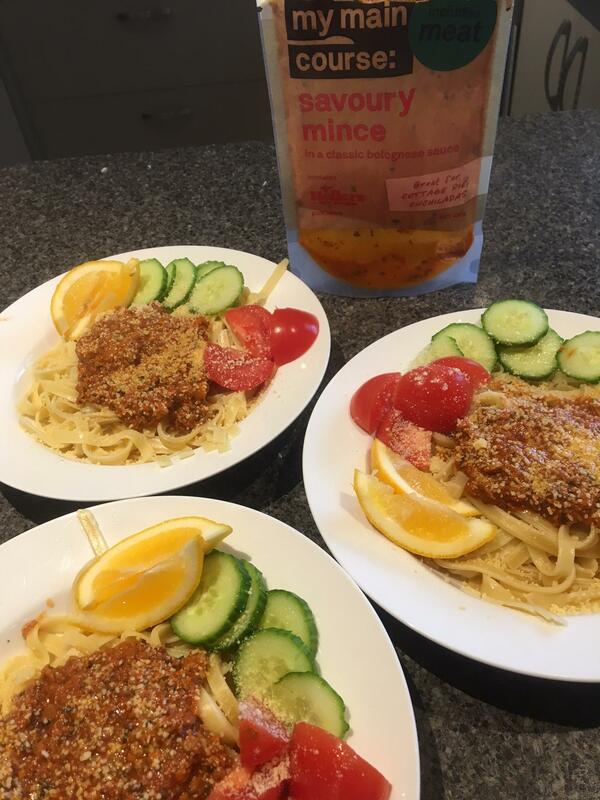 Using a mixture of Hellers quality pork mince, we&apos;ve added a delicious Mediterranean style tomato base sauce to create the My Main Course Savoury Mince meal starter. With such classic flavours, it&apos;s always a tastebud pleaser and an easy base to add some of your own flair too. Pork, water, tomato paste, diced tomatoes, sugar, onion, garlic, salt, cheese, cornstarch, herbs, spices, citric acid, vegetable oil, dextrose. 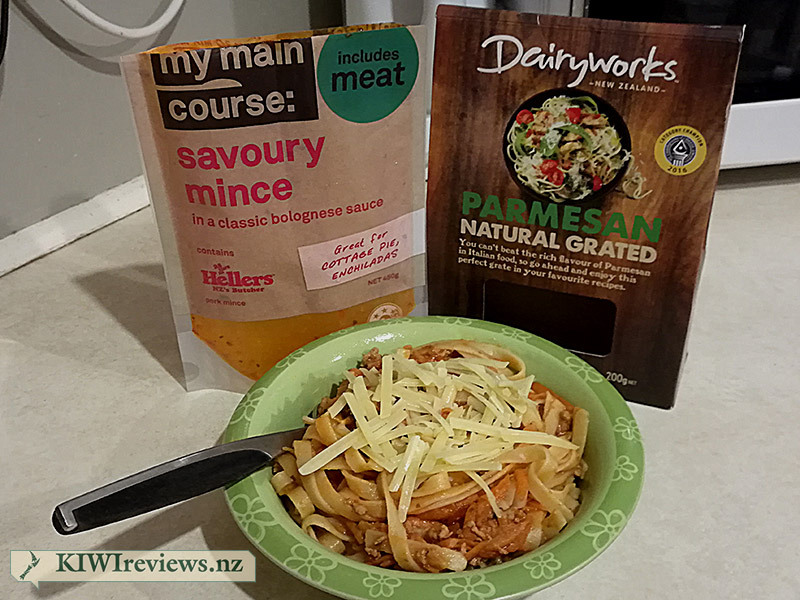 Having tried several varieties of the My Main Course products previously, the Baked Beans and the Pulled Pork which became a weekly staple in our grocery shop as my partner absolutely loved it, I was excited to see that the company had come on board as part of KIWIreviews so that I was able to try out another of there products, the Savoury Mince. My family tends to eat mince at least once a week due to it&apos;s versatility and also the price, so I was pretty happy to have this ready cooked mince to try out for review, which meant that preparing my meal was done in no time at all, compared to the average 15 to 20 minutes I would usually spend preparing such a meal with mince in it. For the purpose of this review I decided to split the mince into 2 separate portions so that I could see how it went in more than 1 dish. For the first dish I decided to make a classic spaghetti bolognese which the whole family usually loves, I cooked up some pasta, then heated up the mince in a pot on the stove and added to this some finely grated carrots, zucchini and tomatoes, the mince was ready within minutes, and I had a deliciously nutritious meal to serve up which was perfect with a topping of grated cheese. Miss 4, my partner and myself loved it the mince had just the right touch of herbs and spices and was very tasty indeed. The next night I used the remaining mince to make nachos for dinner, these were simple to prepare and with this mince all the work was done, I simply layered some nacho chips in a ovenproof tray and then topped these with the unheated mince mixture, sprinkled over some cheese and placed it in the oven until the mince had heated through and the cheese had melted. This again was a huge hit with all of us, however my partner did make one comment in regards to the mince being quite liquidy from all of the juices and found that this made his corn chips a bit to soggy for his liking, other than that he loved the taste and I said that next time I would ensure that I drained a bit of the liquid from this before cooking. Our family usually eats beef mince, so finding that this was infact pork mince was a bit of a shock to me as it is something I hadn&apos;t had before, but I am very happy that I got the chance to try it as it was very tasty, and I felt it appeared to be a lot less fatty than beef mince is. 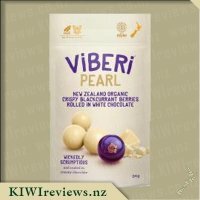 The packaging is attractive and I love being able to see the product that you are buying through it, it&apos;s always nice to see what you are buying. 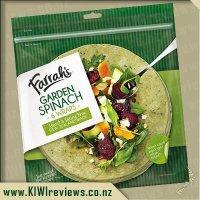 Meals such as these are so great to have on hand on days when you are running short of time, and it&apos;s even better when they taste as good as this brand does, I look forward to keeping an eye out for these products again in the near future in a supermarket near me. Spaghetti bolognese is a regular on the menu at our house. We all love it. 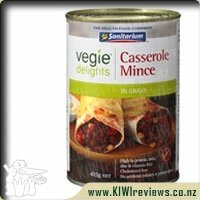 When I was given My Main Course&apos;s Savoury Mince to review I knew it was going to be popular with us. The problem was it only serves two and we are a family of two adults, Miss 9 and Miss 7. I decided to use this as a pie filling. I made muffin size mince and cheese pies. 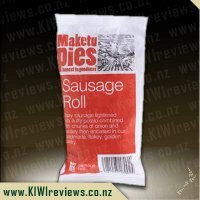 These were so simple as the pouch had all the filling in it ready to add to the pastry. I did add extra cheese to the top though. It was interesting to see that the meat was pork mince which is popular with us rather than the cheaper and more common beef mince. This made my little pies even more popular with the kids. 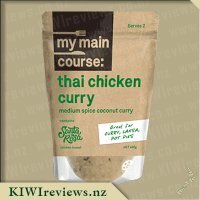 I found the savoury mince pouch had a lovely flavour to it with a great blend of herbs and spices. It made such a convenient meal. The mince I had leftover from the pies I heated in the microwave the next day and had with bread for lunch. This gave me a true indication on the flavour of the pouch. This is a convenient meal that would be great for a couple, a solo parent with one child or someone living by themselves. You know you are getting a nutritious meal for faster and less cost than takeaways. 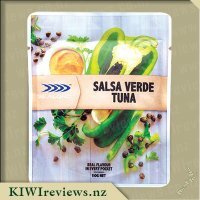 It is also a versatile meal base that you can add what you want to it. 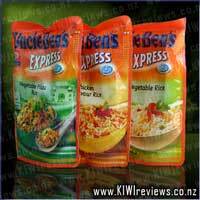 Suggestions on the pouch include cottage pie, enchilada and bolognese. Five of us shared this packet - three adults and two children - so the challenge was to ensure there was enough for everyone. However, once we had added pasta and salad, and included a sprinkling of cheese on top, there was enough for the three adults with a smaller amount left for the children to try. 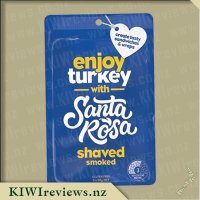 Because this was a product they had not tried before, and we did not want to waste any by finding that they turned up their noses at it, we left the mince off their dinner completely. Instead, we served their share separately in a couple of small cups so they could try it first. First impressions were very positive. The adults all loved it; there was a hint of spice but nothing too overwhelming so it was open to extra flavour. 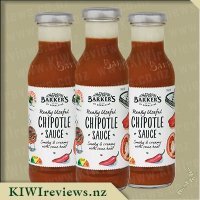 I added a shake of Frankton Hot Sauce to mine, and this worked nicely. Because it was not too hot, Miss Five declared that she loved it and ate all hers in one go. It was interesting that she ate all the sauce from the cup first, and then ate the pasta and salad without any addition at all! Each to their own taste, I guess. Mr Seven did not like it and rejected it after the first taste, so his share was redistributed to the rest of us and he got extra cheese instead. However, he is a fussy eater and less inclined to try new foods, unlike his sister who is game for anything. We tried to follow the bolognaise recipe instructions exactly but there was one thing that puzzled us. The sauce suggested adding lemon - but there was no indication as to how much, or when. Should the lemon be added while it was heating or served as a garnish? We chose the latter by consensus. 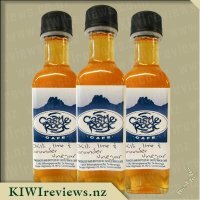 The listed ingredients do include citric acid, and I did notice a slight lemony aftertaste, so we decided we could not go wrong by simply squeezing some on top of the meal and that seemed to work. We also tried the listed website (mymaincourse.co.nz) for information but that was password protected so we could not use that to check. 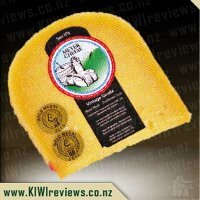 We liked the fact that it had a long shelf life when stored chilled, and also that it could be frozen as it could be useful for me to use as the base of a ready meal. I always have a few pre-prepared meals in the freezer for the evenings when I am working late and then planning to eat on my own. 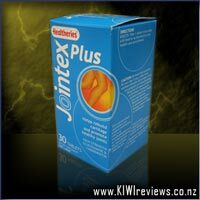 This saves the temptation to opt for a less healthy but speedy choice. My daughter said it would be useful to take when they are going away for a weekend as it would travel well in a chilly bin and be quick to prepare when they arrived. As a family, we gave it the thumbs up. We were also interested to know if there are plans for a larger pack size as that would mean we could get one big packet rather than two smaller ones, thus minimising the need to add extras when we are all eating together. Given that I only had one pouch to play with, I decided to see how I could focus on the "value" component by making this go as far as possible as cheaply as possible. I thought about what I could add to this, and figured I would start by adding 2 medium-large carrots to it, finely grated. So, first I set a pot of salted water to boil and tossed in enough fettuccine for three portions, then left it to cook. I got my trusty frying pan up to heat, added a medium onion chopped finely, a generous pinch of Manuka Smoked Garlic Salt and freshly ground black pepper, then let it sit and sautee for a few minutes while I grated the carrot, which I then threw in and stir-fried for about 90 seconds. Then, in went the pouch of mince. Now, unlike expectations, I saw that this was a pork mince rather than my more usual beef mince, so I threw in a generous tablespoon of tomato paste to enrich the colour a bit more. While this was heating through and cooking off the carrot, I checked on the pasta and found it was only a minute or two away from being fully cooked, so whipped it off the heat, put about a 1/4 cup of the water into the mince sauce to add shine, drained the fettuccine, and tossed it into the sauce to finish cooking by soaking up the hot liquid in the bottom of the pan. Once it was fully cooked, it was time to decant it into a bowl for the night&apos;s dinner, and two airtight containers to go into the fridge. A generous topping of grated parmesan cheese, and dinner was served. What a delight! The flavour was deep and many-layered, with the meatiness coming through easily - which is very important to a carnivore like me. My only slight disappointment was that the meat was so finely ground I didn&apos;t see any distinct clumps. I do like my bolognese sauces to be rustic and chunky, rather than too smooth, but in this case it was so tasty I could overlook it easily. Overall, this was a very affordable way to feed a family of three, or a single for three meals. The nett cost for each meal was less than $4.00 which is a great option for those on a tight budget. It also made meal prep incredibly simple, fast and appealing to those who have limited time after a full day at work, but don&apos;t want to be stuck on two-minute noodles or sandwiches.